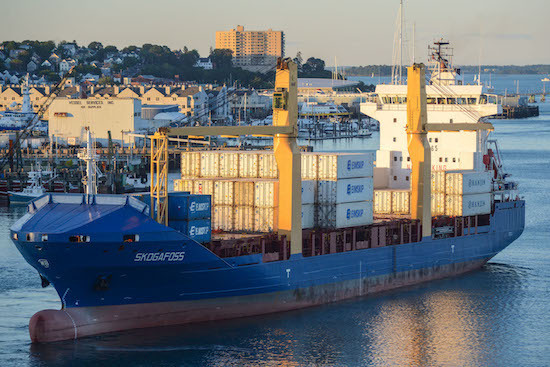 A major Icelandic shipping company, Eimskip moved its US headquarters to Portland in 2013, providing a direct shipping link between Maine and the Arctic. Their offices are closed to the public, but you might catch a glimpse of one of their ships in the harbor—usually on a Thursday. Eimskip also sponsors charitable and cultural events in Portland. Photo courtesy of Corey Templeton and John Erlandsen.